So Vine is the new toy in town and its somewhat like Cinemagraph. I had to use it for something fun. My daughter Clié taught me how to do the cup song, so here it is. 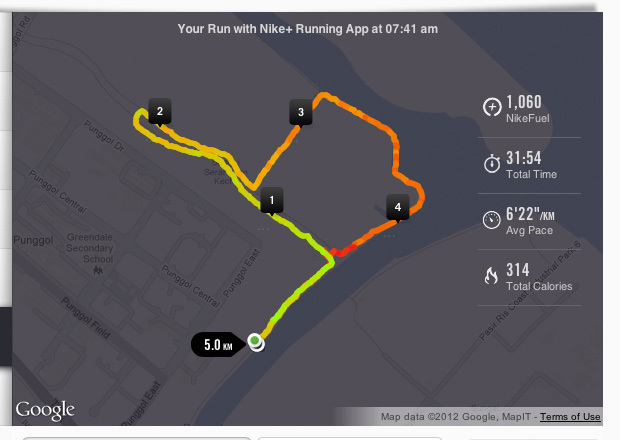 If you’ve been�exercising (especially running), I urge you to get on�Nike+. 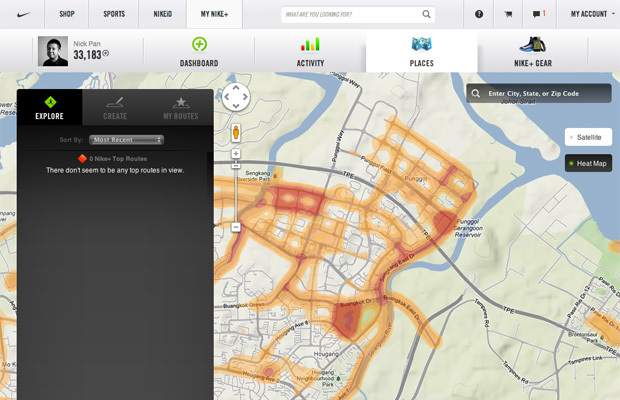 Its basically an online ecosystem that gamifies your workouts and rewards you with Nike Fuel for you to measure your athletic life.�The easiest way to get started is to get the Nike+ Running App. Once you’ve signed up and started clocking a few runs, you can then login online and see your progress. You can also see where other runs have happened. So for Punggol, you will realise lots of runs happen around the�Punggol Promenade Riverside Walk�area going across to Sengkang, the empty estate opposite Punggol Plaza, around the pond at Punggol Park and also near the�Sengkang Sports and Recreation Centre. Living in Punggol, I’m spoilt with choices on routes to run. I can safely run on the roads along Punggol Drive with relatively no traffic, pathways around estates, Punggol Promenade Riverside Walk, Punggol Waterway, etc. My fave route is above. Its a mix of the promenade, the waterway, then the 4th kilometer is actually some kind of redish gravel track. If live around the area, you should try it out. Its a perfect 5k route. 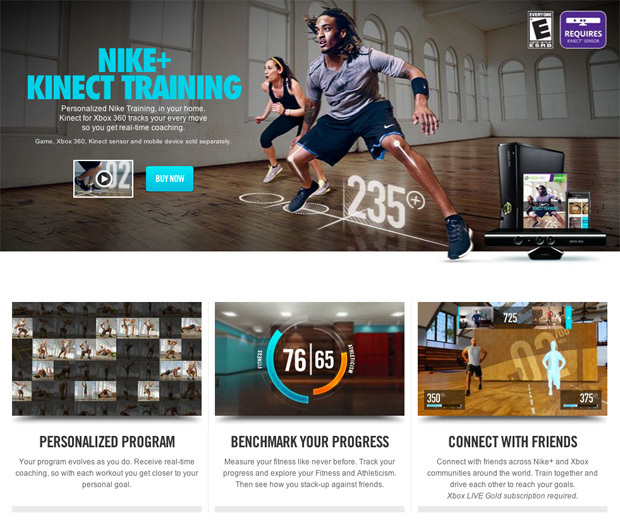 So now the Nike+ platform have been extended to the XBox360 Kinect with its latest Nike Kinect Training. Hence over the weekend, I’ve empowered our family with a new console addition to the household after finding out that Qishan have a $599�Xbox 360 Kinect bundle with 4 Games (SG Set) inclusive of the Nike Kinect Training game (this game had to be collected at Funan) which just launched about 2 weeks ago. They also gave a $40 voucher which worked out well for the 2nd wireless remote. I tried out the my first session today and its was really fun. Had to first calibrate the whole thing and they did some tests to see which limbs were stronger/weaker, how flexible I am, then tailored drills that were suitable for me based on the goal I’ve set. So after my first workout, I’ve been made to commit myself to a 3 days a week program for 4 weeks and let’s see how I progress. 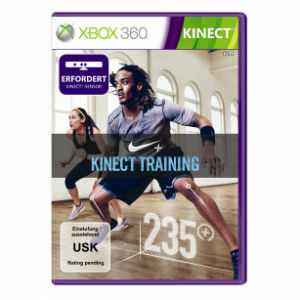 I’m still gonna try and run 5k once a week on top of the Kinect Training, so hope in the near future, I’m gonna be a lot more fit. If you are on Nike+ and I know you, do add me. My screen name is “nickpansg”. I’ve been cracking my head on designing a logo for FTW.sg for quite sometime now. I do feel it needs a symbol and one that can be played around. Have been going down the typographic route and pinning lots on Pinterest and even bought a calligraphy pen. Got kinda stuck. This is what I came up with at 5am after taking flu medication and sleeping for 9hrs.